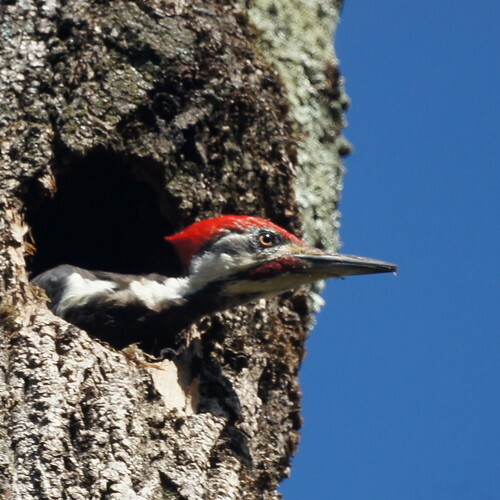 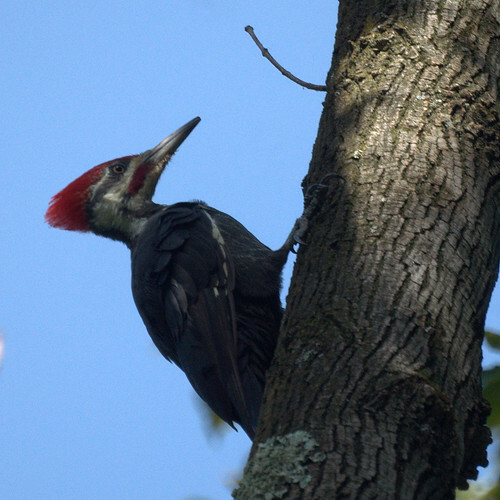 We did see some hawks high in the sky at Chimney Rock Hawk Watch but the highlight was a pileated woodpecker. 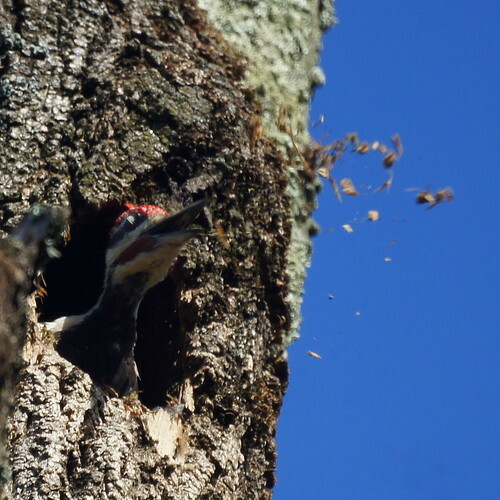 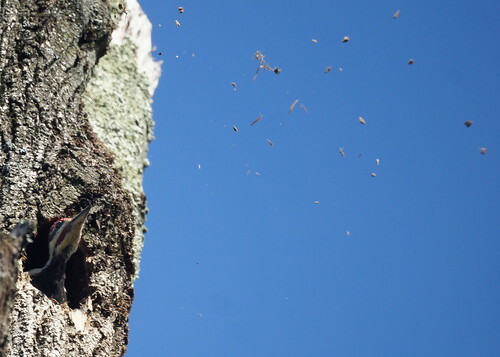 The sequence below shows the woodpecker cleaning. 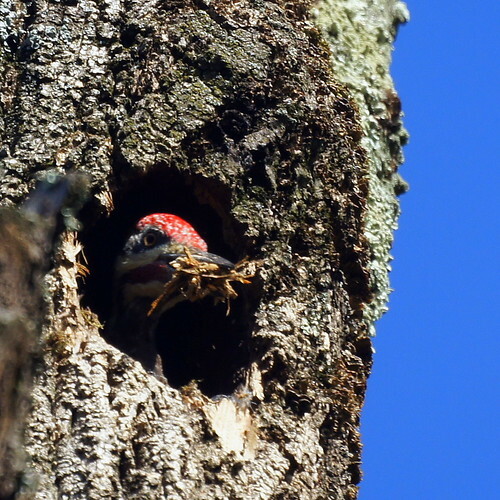 It spent 5 minutes gathering leaves and throwing them from the nest.